Hi Gerry-Thanks for stopping by Wethersfield last week. We really enjoyed learning about the Cicada Killers! Liam especially had a blast. 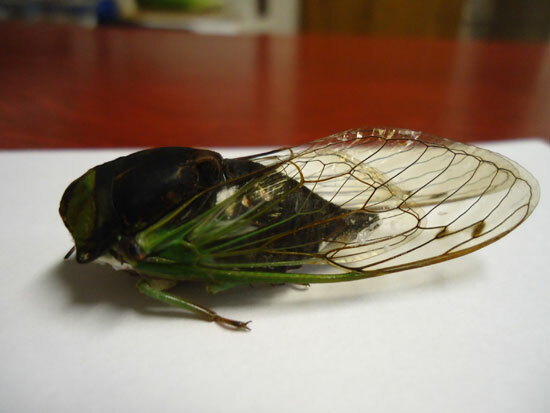 :) We found a cicada on the sidewalk today (albeit, missing it's head and a few appendages). It was about 1.5" long, mostly dark brown in color with lime green wings. Here are a couple of pics. Yes, that is most definitely a cicada. 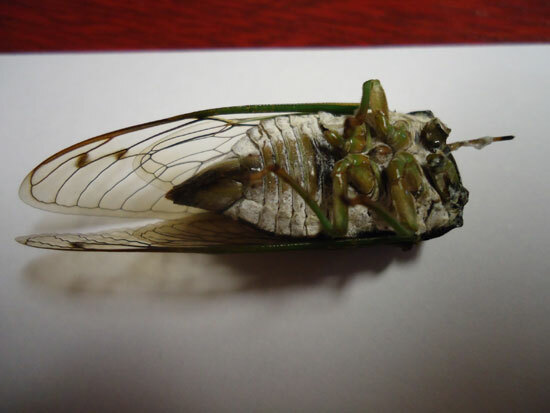 There is enough there to identify it as Tibicen tibicen which is a fairly common species of cicada in the town of Wethersfield. Have fun and keep me posted.